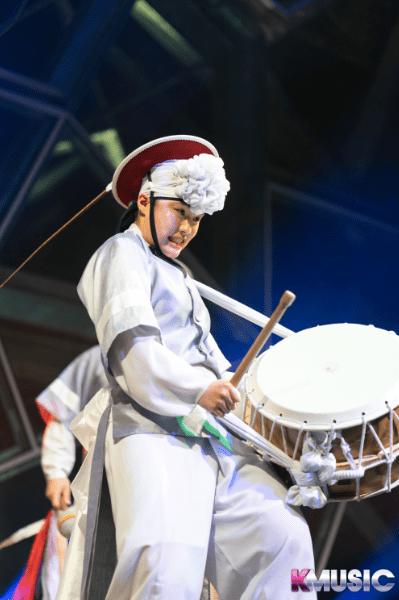 The ultimate cultural art concert ‘SHOW PASSION KOREA‘ took place on the 9th of April at Deakin Edge, Federation Square in Melbourne, Australia. 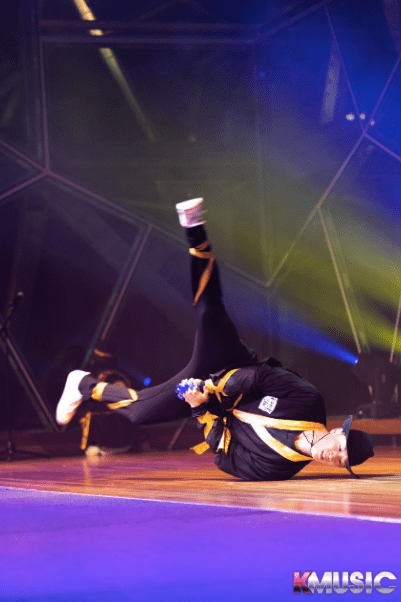 Featuring the performing arts group Dongrak and Fusion MC, the night was an explosion of beats as there were drumming, beatboxing and dancing (b-boying) performances. 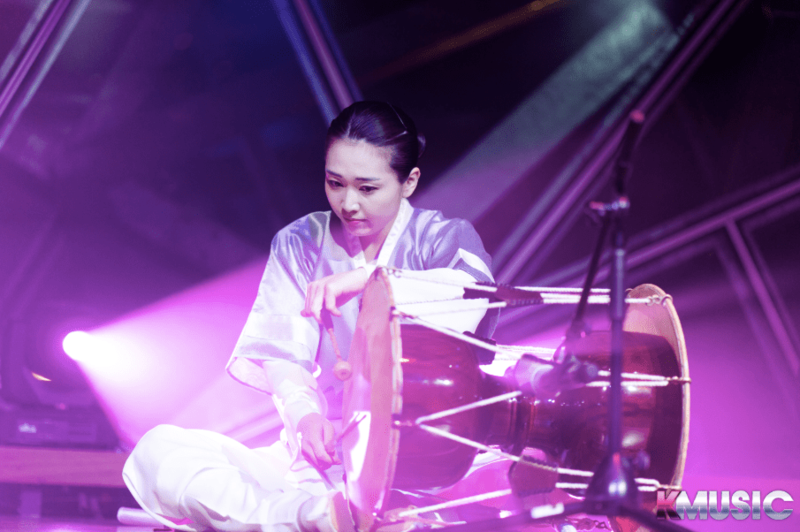 The first performance ‘Climax‘ was by Dong Rak and it involved five traditional drums played by five drummers sitting on the ground in a row. Matching the title of the song, there was an increase in speed and volume throughout the performance, with shouting towards the end. Halfway through, one of the drummers comes to the stage with a spinning disk to perform tricks. He interacts with the audience and allows a few audience members to have a go at spinning the fabric disk on a stick. Even when this was happening, the drummers never lost their sense of rhythm. Their beats were in synchronisation and they switched between drums. Furthermore, the drummers communicated with their drums back and forth. ‘Climax‘ had an explosive end. Fusion MC started their first performance with one of the dancers coming out wearing a mask that was reminiscent of the blue and red parts of the South Korean flag. A couple wearing Korean traditional hanbok came onto the stage as well. Dancers performed around them as they seemed to bless the couple by creating a sense of unity. This performance ended with one of the dancers making a finger heart to the audience. A boy and girl pair of dancers performed the next dance, which was a fun pop and lock dance with lots of impressive moves. As they popped and locked to the beat, the beat literally moved along their bodies. Their bodies followed the strong beat and the even danced off the stage. The next performance had a more touching and moving start. However, there was an acrobatic twist with b-boy tricks. The dancers were decked out in gold and black outfits. Soon, it transitioned into a fast-paced dance. They even danced in the dark with only blue lights. The crew had around seven boys and one girl. The acrobatic tricks included handstands and during these the dancers didn’t even tremble. 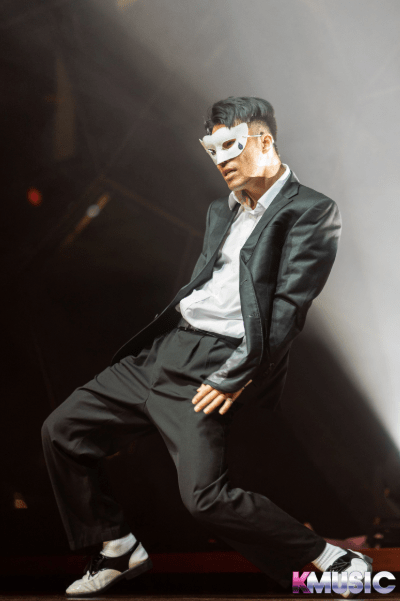 A solo dancer in a white mask and classy black and white suit performed next in a pop and lock style to the song ‘Don’t Forget’. He danced expressively, fitting with the mood of the song. Fusion MC‘s beatboxer was up next. It was a different type of talent to what the audience saw since the night had started. 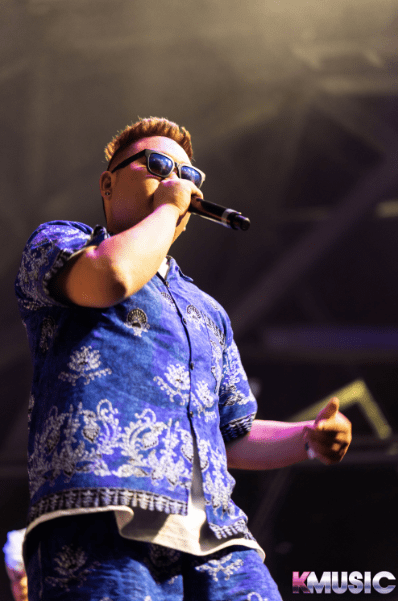 He was incredibly skilled at beatboxing – he got the audience clapping along. The rest of the b-boy crew came out after with identical red hoodies with their crew name on the back. This time, they danced to more suspenseful music. Their tricks involved jumping in between each others arms, legs and torsos. At one point, one member even literally stepped on everyone else’s bodies. The energetic music had the audience clapping along. One member did handstands down the stairs, which elicited a loud collective gasp from the crowd. Taking a break from dance, Dong Rak did a traditional drum performance next, but with more flare. Adding to the performance, they even wore traditional headpieces with a long white ribbon at the top. They used this ribbon to perform appealing and impressive tricks. While they performed, they went around in a circle before spacing out. Their movement enhanced the musical story that they were telling. One of the musicians was playing a kind of trumpet as background instrumentals, serving as accompaniment. Each drummer had individual time in the spotlight to shine. Furthermore, one drummer even span with the ribbon while he was drumming. 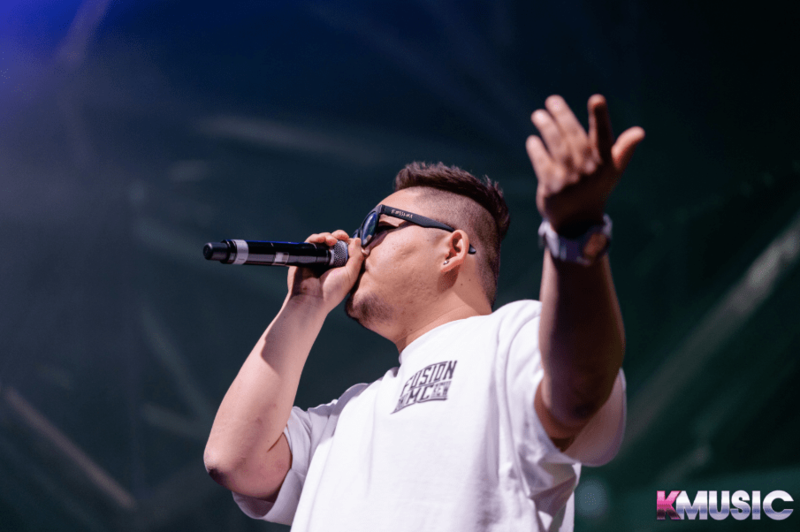 The performance became even more entertaining when the beatboxer came back on to participate in a surprising but interesting collaboration with Dong Rak. The audience could see how beat and rhythm are produced in different ways. The drummers and the beatboxer matched the beat together, but through two different means. Soon, the Fusion MC dancers came in. They went back and forth across the stage with the drummers. Their b-boying tricks were literally jaw-dropping. Lastly, the same pop and lock pair from one of the starting performances came back. They danced to the song ‘A Flying Butterfly‘ by YB, which is known as a coming-of-age song. The rest of the crew joins them to perform. They even throw Fusion MC shirts into the audience and send their love. The entire groundbreaking performance comes to an end as they pose with a South Korean and Australian flag before giving their final bows. ‘SHOW PASSION KOREA‘ was an amazing and memorable cultural arts performance that was one-of-a-kind. Seeing such talent right in front of our eyes was so refreshing and definitely an unforgettable experience. We would like to thank the Consulate-General of the Republic of Korea in Melbourne for giving Officially Kmusic the opportunity to cover this event.